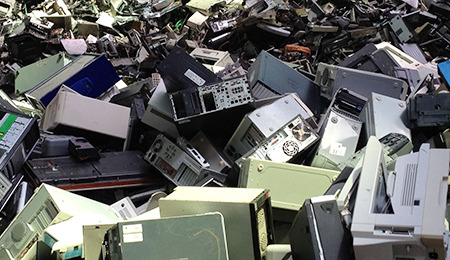 swissRTec are expert providers of E-Waste, ASR and other composite recycling plants. swissRTec engineers, manufactures and commissions processing solutions tailored to your requirements and standards. Our rugged, high quality shredding and delamination/separation plants stand out in their ability to maximize recovery and purity rates for materials such as copper, aluminum, plastics and steel. swissRTec plants and equipment provide solutions for a variety of industries. Wherever there is a need to separate and recover high yield and quality raw material from a composite waste stream, swissRTec has the answer. From the pre shredding and separation of metals from waste electrical and electronic equipment (WEEE) and copper from printed circuit boards (PCB) to recovering copper hair wires from Auto Shredder Residue (ASR) , swissRTec has the technology, expertise and track record to provide a highly profitable solution that meets your financial and operational goals. The new swissRTec technology center featuring a Kubota Vertical Shredder and material separation technology has been successfully put in operation at headquarters in Kreuzlingen/Switzerland. Several successful tests for customers have already been conducted.